Everyone loves a spacious garden. It provides children a clean place to play and for adults, it is a relaxing place away from home. It has some specific uses for different kinds of individuals, but overall, it is just nice to have a garden. Now, not every garden we inherit or buy as part of the house is big. Many Australians do not even get gardens, as they choose to live in apartments and condominiums. Nonetheless, you are lucky if you have a garden, no matter its size. If it has a small area, however, you may have to do a little bit of space management and wise choices. You cannot put tall grasses because it would just make the space more crowded than it actually is. Furthermore, you may have to cut down or replace the tree with the big trunk. You can make a case for big trees as a centrepiece for your garden. For small one, though, it may not work as well as you think. Big trees really grow big, and in the future, it will cause you problems and interruptions after another. It could block the view, once it grows out of proportion. By then, it will be hard to manage a grown tree because it probably wrapped its branches in that small area. Second, it will consume most of the water. A sizeable tree needs a lot of sustenance, and your precious flowers could wilt without you knowing. Lastly, its size is inappropriate for a small garden. It would just take everything, rendering all your hard work in beautifying your garden useless. We here at Beaver Tree Services are available to cut down that tree. 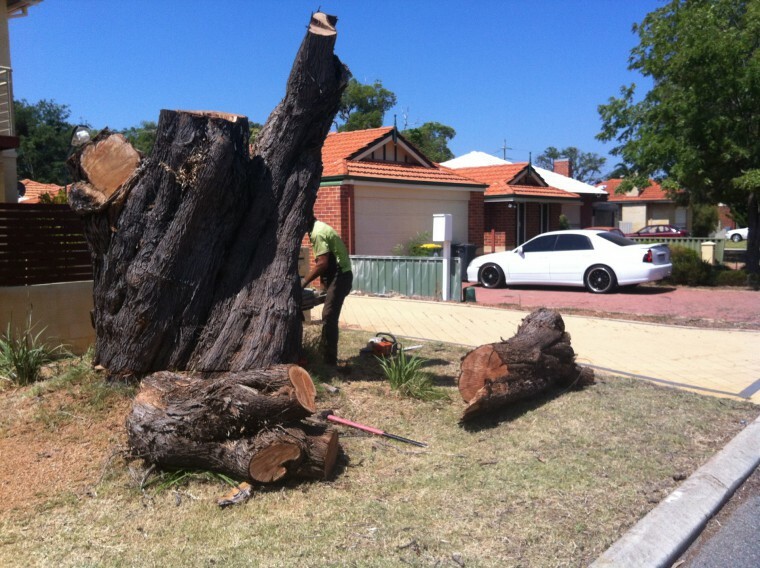 Whether you want it removed completely or you want the stump as a unique sitting place, we can do it. Then, you can replace it with a narrower tree, including evergreen trees, gem magnolias and aspens. We can remove all kinds of trees, and we can provide a free, non-obligation quote.